What is Seen When Your Name is Typed in Google? In previous articles "Using Google Alerts to Track Your Web Presence" and "5 Quick tips to Grow Your Internet Web Presence", steps were provided on how to develop and monitor your web presence. Now we'll cover why you should even be remotely interested in developing a positive web presence. If anyone types your name in Google, what will they see? What will be seen beyond your LinkedIn profile to separate you or your business from the competition to expedite closing the deal, getting the interview/meeting or being hired? In Keith Ferrazzi's book "Never Eat Alone" who knows you is more important than who you know. Why is marketing and branding both on-line and off-line important to your business or career? Here are some reasons why you need to be where your target audience hangs out. 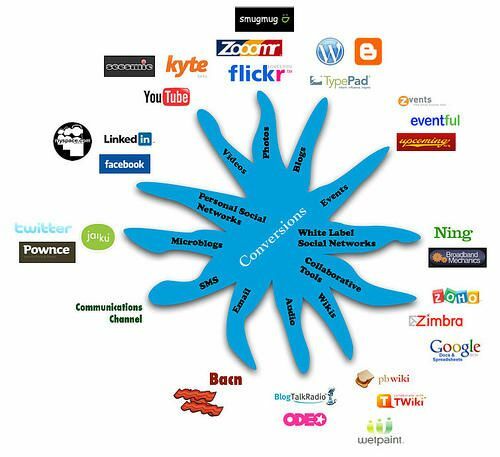 20% of employers use "social networking" sites. Read more . . .
One-in-Five Employers (25%) Use Social Networking Sites to Research Job Candidates. Read more . . .
40% of employers have searched Facebook and other social networking sites for information on potential hires. Read more . . .
2010 - 2nd to LinkedIn, Recruiters are hanging out on Twitter. Some corporate recruitment firms use Twitter to analyze the employee’s communication skills and his work culture. According to few surveys among recruiters who use Twitter as a part of their recruitment process. Read more . . .
- Develop a positive web presence with upbeat questions and comments on LinkedIn and other social networks. - Make yourself an industry expert with articles within your knowledge space that resolve problems, improve processes or share outcome results of previous projects etc. - Maintain business posture through email with proper grammar, spelling and an email signature. Companies make staff go through gyrations analyzing implementations of new technology. What's the cost? What is the return on investment (ROI)? 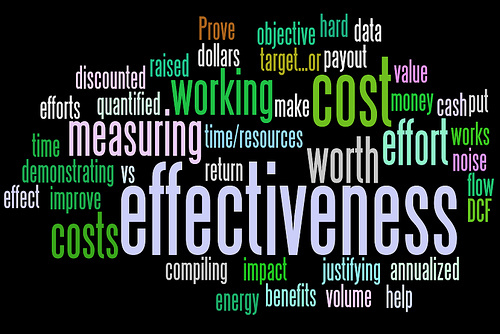 What is the short and long term benefit to the company, clients/customers, productivity and profitability? You know exactly what I'm talking about, because you've been there. This also applies to entrepreneurs or small business owners running their own business. Don't you or your chief financial officer make your employees do the same types of justifications? Now ask yourself this question. Do I apply the exact same business methodologies when purchasing personal technology for myself, family or home? If not, why not? The iPad is soon to be released (see video below). As with any new consumer technology gadget, especially when released by Apple, a buying frenzy occurs with a "got to have it" mentality. This works perfectly for the company selling the gizmo. It's a credit to the engaged marketing machine producing sales results. When done right, a perceived need is created for the consumer, when none exists. It deftly and subtly overrides a "need vs. want" analysis. Do really just want it? Or do you personally need it to be competitive with your career or business? Transferring skills you use at work into running your career as a business is a key strategy to career management survival these days. It positions you for being more valuable to clients at work. This is accomplished by reinforcing personal life technology purchases with the same business practices companies employ. My wife and I only purchased, upgrade and continue to pay our Blackberry bill every month [or any home technology], because it provides us with much return on our $90/month investment. It answers the business acid test of providing ROI for productivity, clients [employers] and personal income profitability. Our personal monthly ROI must cover the cost, plus produce a profit into our bank accounts. Otherwise, it's just a firm grip on an empty sack. When was the last time you beat up a vendor for hiccups in your personal cell phone service, like you do at work? That's right. Services providers for home technology are still vendors to you. No one should blindly pay a bill in full, if the FULL services have not been rendered. It doesn't make good business sense for companies. Why should it for you personally? Read more on how to get vendors to pay you when personal technology services fall short. When the weather knocks out satellite cable TV or vendors create service interruptions for hours or days with technology upgrades, that's not your problem. They owe you a credit. You pay your bill "in full" for full services every month, no matter what. Your career is your business. Your business is your career. Anyone who runs their career as a business, extended into your personal life purchases, is the smarter person who survives these days.